One Time Royalty is the 2010 NCHA Open Futurity Champion and has won over $265,000 to date. He and rider Lloyd Cox scored a record-breaking 230 to win the futurity, the highest scoring run in the history of the NCHA futurity. 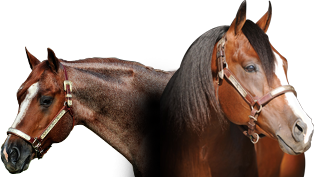 His sire, One Time Pepto, also made history by siring both the 2010 Open and Non-Pro futurity champions, something no other sire has accomplished in the same year.